Designed for use in a Middle Years class, this is a fun project students love! A project that lets students try their hand at creating the ultimate society. 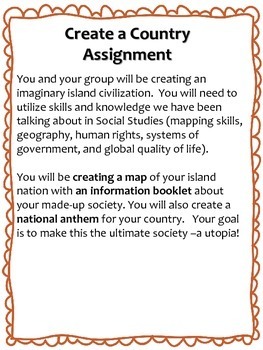 Develop cartography skills (map-making) and create a national anthem. Consider how inhabitants can develop a high quality of life, and what kind of human rights code leads to the ultimate utopia! This ties in to Social Studies and English standards. 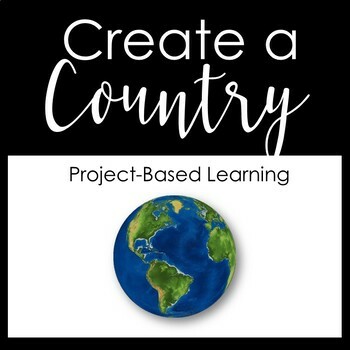 As there are three parts to this group project (create a map, create a national anthem, and create a brochure), it generally takes students about two weeks to complete and present. Contains printable assignment handouts, rubric, and self-assessment guide.